Digital memory aid and note taking service Evernote already has mobile applications for the iPhone and BlackBerry, among others, but so far it wasn’t part of the now more than 20,000 applications for the Android platform. Expect that to change real soon, because we hear the startup is making the app available in the Android Market in the next few hours. 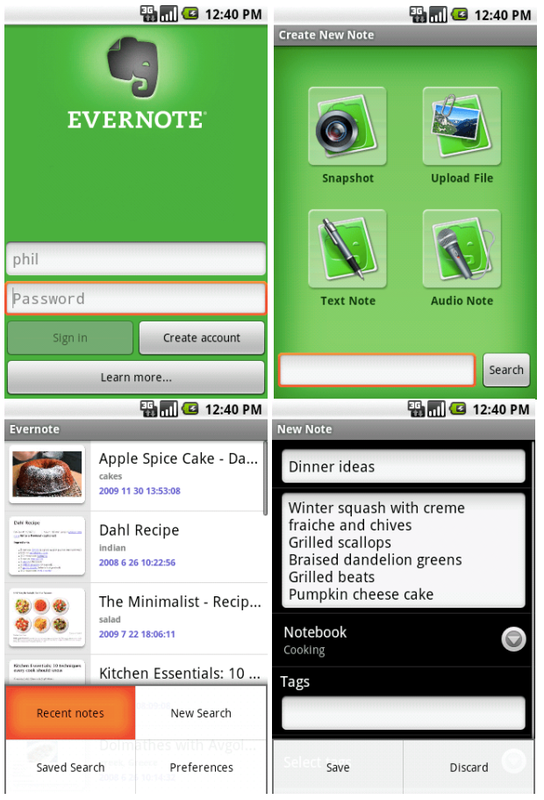 Evernote says the development of the app, which will be offered for free, took months to complete. 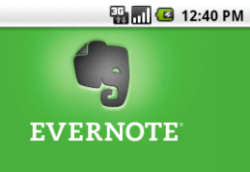 Evernote for Android allows users to create text notes, take photos and record audio. They’re also able to attach files to notes, although free subscribers are only able to add PDF, text, audio or image files. Premium subscribers – who fork over $5 per month (or $45 per year) for the service – can attach any file they like, as long as the total note size is under 25MB. Any note users create in the desktop or web versions of Evernote will be instantly accessible from their Android phones thanks to the app’s native synchronization capabilities, and a note browsing feature enables users to browse and search through all of their notes. Evernote for Android is also able to capture a user’s location whenever he or she creates a note, and enables them to find notes based on proximity to their current location. The Mountain View-based company, backed by $25.5 million in VC funding and gaining traction fast, promises more updates to the app will be pushed in the coming months.